Hi there, my darlings! 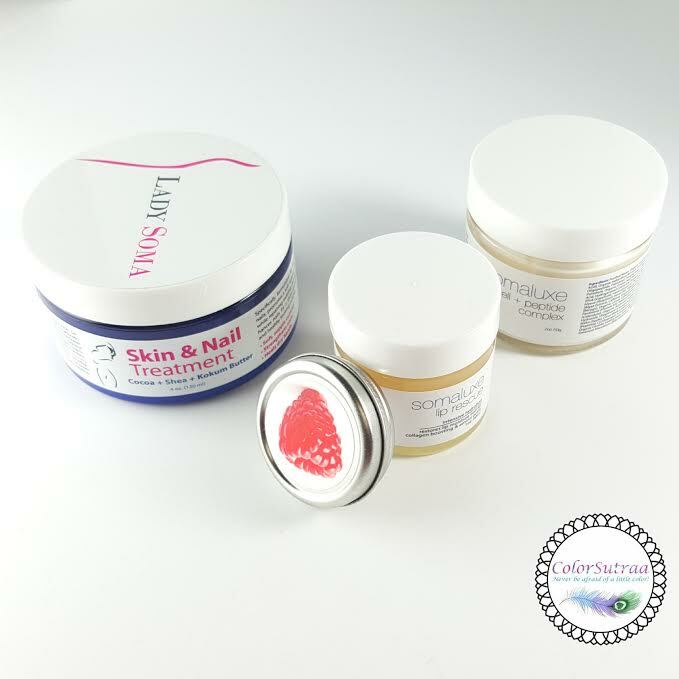 Recently, I received an email from the lovely ladies at Lady Soma with the opportunity to review a couple of their products. Once taking a look at their site, I immediately knew what I would have liked to try and share with you all. But, a week or so later, when a package from Lady Soma arrived, imagine my surprise when it included several of their products, most of which seemed almost hand-picked for me! At that point, I already was impressed that they would take the time to get to know a blog--now I could be wrong, but it certainly seemed that someone looked me up! So, what was in this box? Let's take a look! 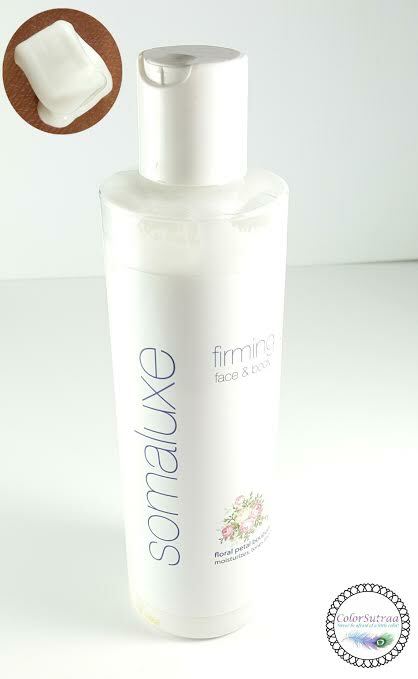 This is a large 8oz sized bottle has the same firming power usually found in smaller jars, and will last a long time. This is a money saver! Gentle enough for use on face – strong enough to be effective on the body. IMPRESSIONS : I was the most excited about this product but right off the bat, I have to be honest and admit I didn't see any radical firming of any area of my body after a few weeks of use. I used it mainly on my upper arms where I could use a little firming but again, no real noticeable difference. That being said, however, the lotion itself is fabulous! Intensely scented with a floral bouquet, I love how GOOD this smells! Add that to how quickly it absorbs and how luxurious it makes my skin feel and I'd say we have a winner on our hands! Plant stem cells, peptides and amino acids in one advanced anti-aging formula. 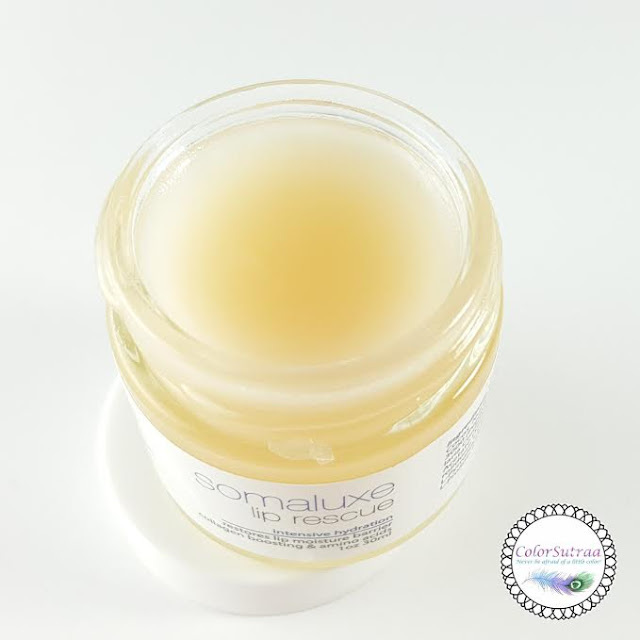 Stimulates new skin cells, collagen production and skin cell longevity. Peptides and botanicals soften skin texture and add firmness. Use once per day, morning or night. IMPRESSIONS : I'm usually really picky when it comes to facial moisturizers but I have to admit I liked this one. It left my skin feeling really hydrated and moisturized, yup, I'm gonna say it, plump! But to a girl who's used to gel formulas, it's still a bit on the thicker side for this weather so it's something I'm saving to use more extensively during the colder months. 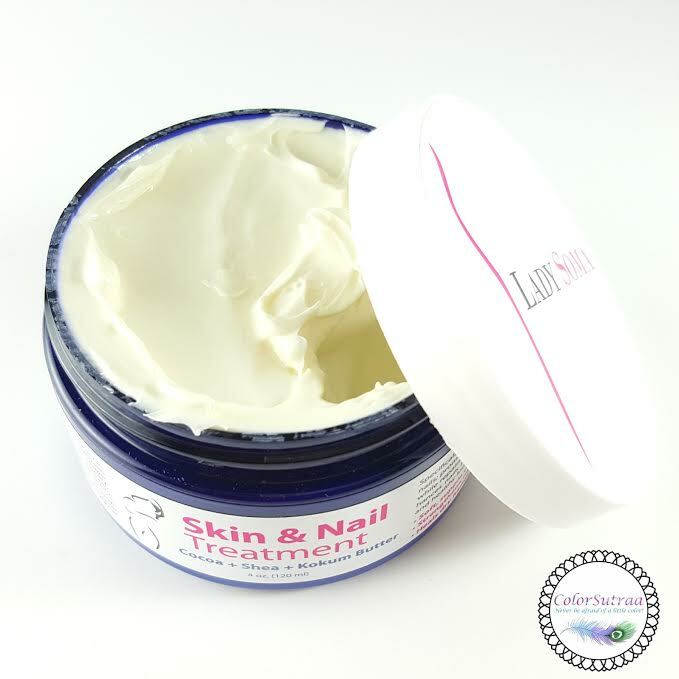 The Skin & Nail Treatment is a deep moisturizer that repairs dry skin. Specifically formulated for skin and nails, it promotes a soft supple cuticle, while repairing existing hand and nail damage. Enhances nails for a shiny appearance and healthy looking cuticles. Treatment may also be used on body in areas where dry skin is present. Excellent for healing scars and stretch marks. The formula is 100% natural, paraben and chemical free. It is hypoallergenic, gentle and can be used for all skin types. IMPRESSIONS : Ok...this is my favorite product, hands-down, of the bunch! As many of you know, after long nights of swatching, my hands and cuticles are just ragged...and often raw from all the acetone. I'm always looking for good hand creams to help moisturize after those kind of nights and this one is a fantastic addition to my arsenal. The thick, velvety formula goes on like...heavy cream but absorbs in impossibly quickly, leaving my hands soft, smooth and feeling SO much better! And the cocoa butter in this makes it smell like...dessert! That's the only way I know how to put it--it has a chocolate-y fragrance that's divine! Rich blend of soothing restorative ingredients to moisturize and strengthen lips. Provides long lasting lip moisture and restores lip vitality using powerful moisturizing and plumping agents that promote lip collagen and elastin. 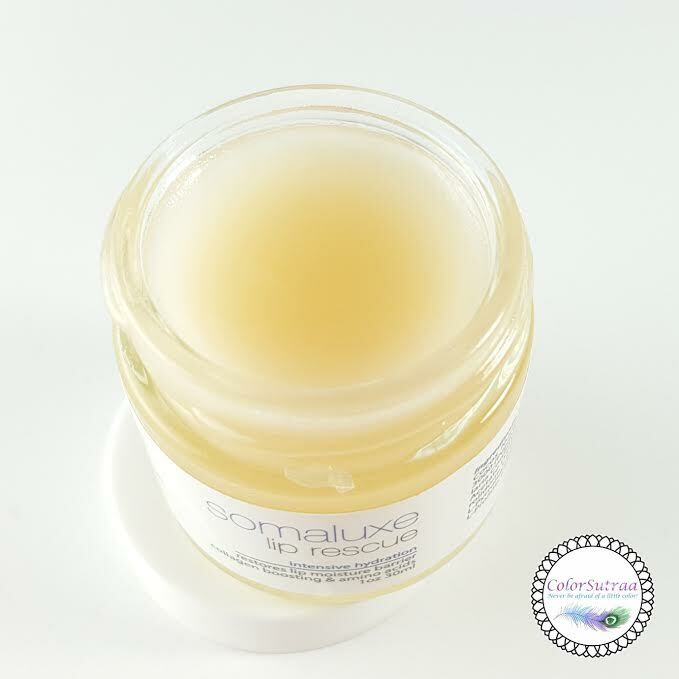 Use as a daily lip balm, or special treatment to fill in fine lines. Repairs lip damaged by wind, sun or severe dryness. You can expect results just after one application. 1 oz. IMPRESSIONS : Incredibly luxurious and moisturizing, this was one of my favorite products among the items I was sent. I have the awful habit of licking my lips a lot, especially when they get particularly dry in the colder months, and this wreaks havoc on my lips. I'm obsessed with lip balms, especially during the winter, and I can see myself reaching for this over and over again. I just wish this was in a tube rather than a little jar--it would have made it so much more portable! 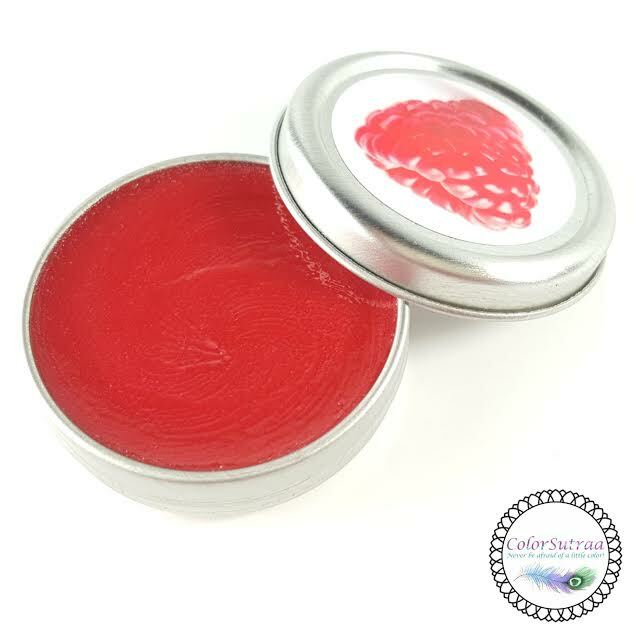 Add a brilliant red shimmer to lips, using an organic blend of antioxidant rich ingredients and herbal extracts. Contains omega rich pigments that protect lips from the signs of aging. The cocoa and shea butter in the formula moisturize lips, while raspberry and natural minerals provides a red, rich shimmer. Wear alone for a glossy finish or on top of lipstick for a more dramatic look. 0.3oz. IMPRESSIONS : I really loved this little tin of balm! The gloss itself is light and silky, without being too sticky or tacky and the raspberry flavor, if you happen to like fruity flavors like me, is just lovely. Although like the lip rescue, I wish this came in a tube rather than a tin, this gloss is perfect for those days when you want just a hint of color on your lips but don't want to commit to a lipstick! 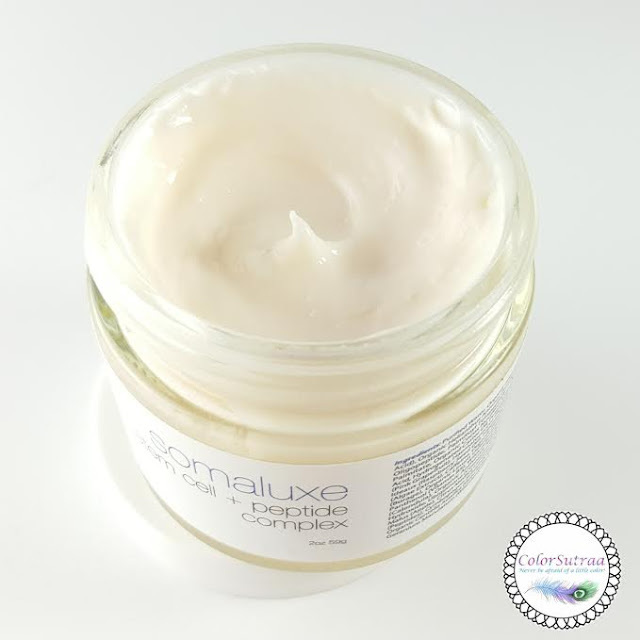 You can find all of Lady Soma's products, including the Somaluxe line of skincare, on their website HERE--I bet you'll find at least a couple of favorites!